I do love a good blog carnival, so I couldn’t resist entering the J-Festa July carnival: Places in Japan. The theme is a lovely one, and it got me thinking about what my entry should be. 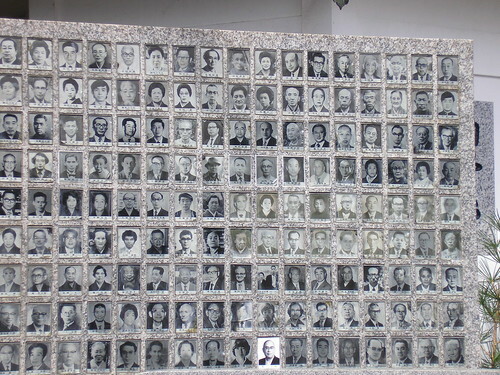 I wondered if I should write about the best place I’ve visited in Japan (How could I choose? ), the worst (Is there one? ), the most interesting (Again, how could I possibly choose?)…? In the end, I decided to write about a place I would really like to go back to, because I didn’t spend enough time there. 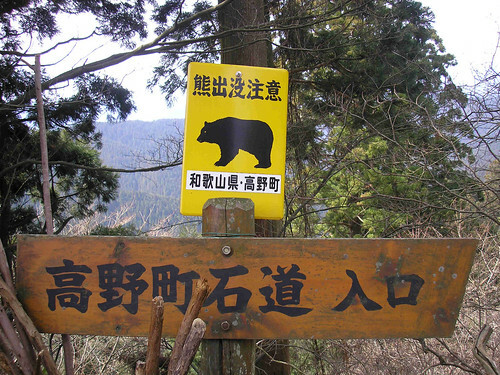 In 2006 I took my first trip to Japan. It was my first time to go out of Europe, and my first time to go abroad alone. I was excited and terrified all at the same time. When I was planning my trip, I had a lot of help from my friend Ed who was living in Nagoya at the time. He made suggestions for my itinerary, sent me maps, and offered to show me around a few places. But the central core of the trip, the idea which I had to build everything else around, came from a newspaper article I happened to read. 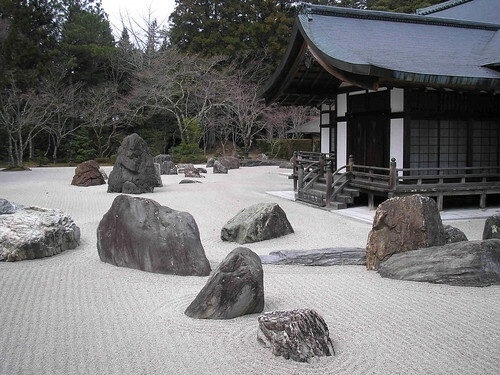 The article, Tofu soup for the soul (Feb 2005), introduced a place called Koyasan (高野山/Mount Koya) in Wakayama Prefecture, and the concept of “shukubo” (temple lodgings). As I read the article I knew without a doubt that my trip to Japan would not be complete without a visit to Koyasan, and a stay in a temple. So, in March 2006 I set of on my first trip to Japan with my detailed itinerary. Looking back on it now, I’m still not quite sure how I fitted everything in, or how I managed it without knowing any Japanese. I think the main factor in my trip being successful was that I planned and planned and planned, until I couldn’t possibly have planned anything else. I was armed with train timetables, bus timetables, maps, hotel bookings, pictures of food and drink to try (and some to avoid)… I had everything sorted! Going to Koyasan was not easy. Don’t let that put you off though – I managed it, on my own, without being able to speak any Japanese, so it wasn’t that difficult. I suspect it’s even easier to get there now (remember, this trip was over five years ago). I was travelling from Kyoto, so I took the shinkansen (bullet train) to Shin Osaka, then the subway to Namba. At Namba, I transferred to the Nankai Line, and travelled to Gokurakubashi. I then took a cable-car up Koyasan – on my own – eek! At the top of the mountain, there was a road which people are not allowed to walk along, so I had to take a bus to the town centre. Finally, somehow, I reached the temple I was staying in: Muryokoin. This was in the days way before smart phones and having the Internet in my pocket, so it was lucky that I had thought to print out a map and a picture of the temple I had booked with – otherwise I might never have found it! I entered very cautiously, expecting to be told at any moment that I was trespassing on private property. It felt like I was entering someone’s home, not a temple B&B. I was met by a slightly worried looking monk, who spoke to me in Japanese. I remember thinking “What on earth am I doing here? !“, but I attempted to communicate with my phrasebook, and showed the young monk a copy of my reservation email (which had all been done in English). I spent the rest of the day dashing about Koyasan, trying to see everything. I had a map and a few leaflets, and I was determined to fit in as much as was humanly possible. 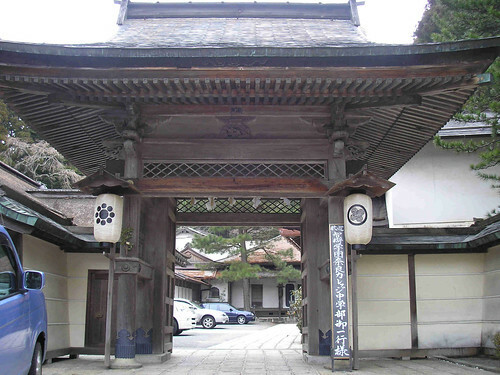 I visited The Daimon (大門), which is the main gate to the town. 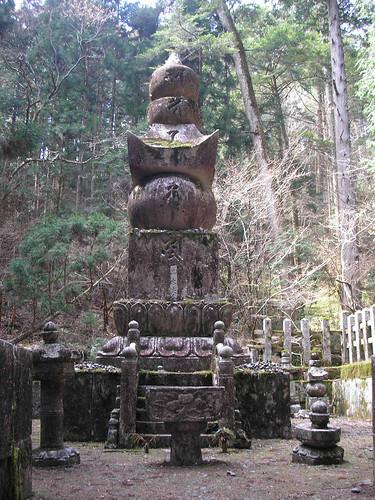 Konpon Daito (根本大塔) – “a pagoda that according to Shingon doctrine represents the central point of a mandala covering not only Mt. Kōya but all of Japan” (Wiki). 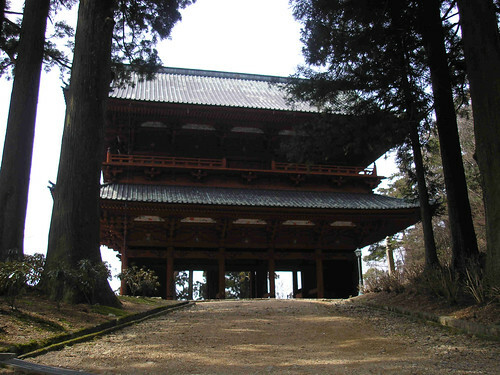 Kongobuji (金剛峯寺) – the head temple of Shingon Buddhism in Koyasan. 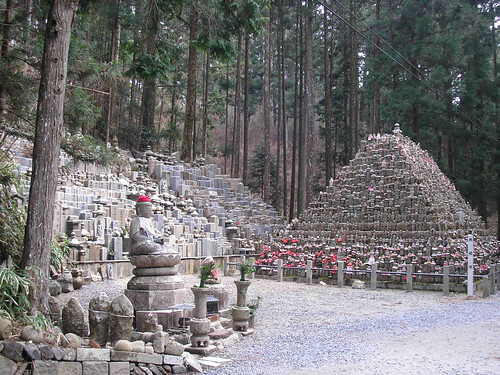 Okunoin (奥の院), which is the mausoleum of Kukai (the founder of Shingon Buddhism) and is surrounded by the largest graveyard in Japan. I wandered around the graveyard for a really long time. It was absolutely massive, and fascinating. There were all kinds of interesting graves there, and I wished I could have understood more about what I was looking at. 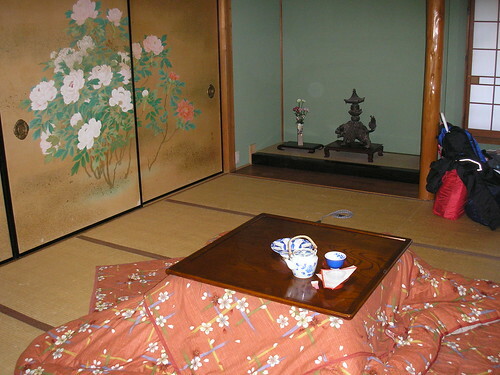 I now know that it was basically the same as staying in a ryokan (Japanese inn), but I didn’t know that at the time. The main difference to a ryokan is the food. 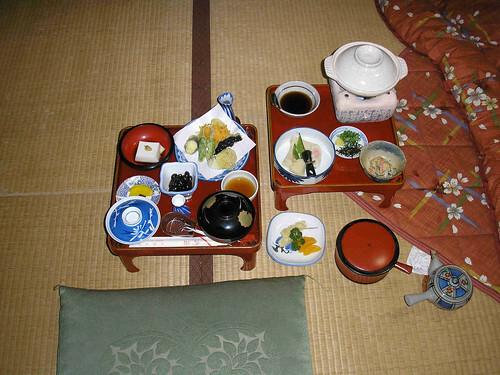 When you stay at a temple, you get temple food – shojin-ryori – which is vegetarian. It was honestly one of the most delicious meals I have ever eaten – it really was tofu soup for my soul! I was amazed by all the little dishes and plates that were brought in to me, and also by the huge variety of ways in which you can cook tofu. I had no idea there were so many different possibilities! After dinner, I was told I could go and take a bath. I was nervous about the idea of communal bathing, but luckily I had the bath to myself. It was so relaxing, and helped me to sleep better than ever (it was also my first night on a futon, I think)! In the morning I woke early and joined the morning meditation. It was bewildering and beautiful at the same time. The monks were very kind to me, and made considerations for my lack of language skills. After the meditation, we (a Japanese family, an American tourist and myself) joined the head monk for a small breakfast of tea and sweet potato pie. I remember it being wonderful, although I’m still not sure how I communicated! 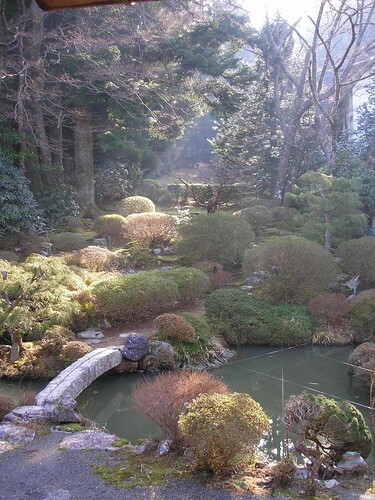 The sun was rising over the beautiful garden, as I made my preparations to move on to my next destination. 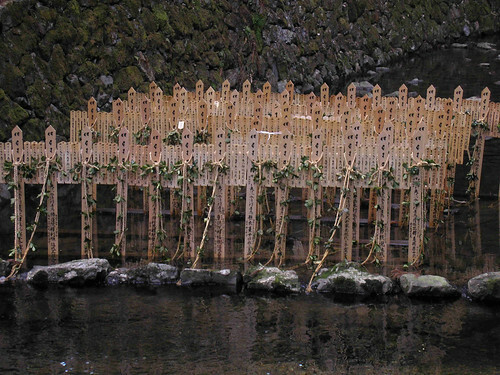 Don’t forget to check out the other J-Festa entries on the theme of “Places in Japan“! EDIT: The July 2011 edition of J-Festa can now be viewed here: http://japingu.com/2011/07/24/places-in-japan. anyways, thanks for this very cool submission to j-festa! 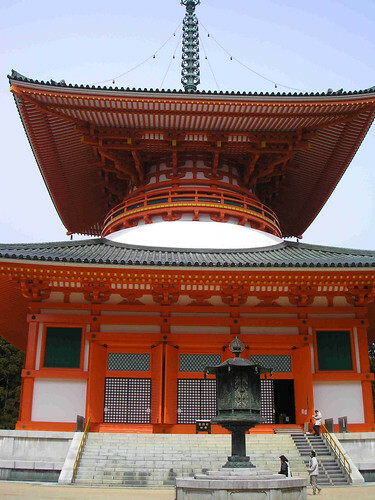 Love the photo of Kongobuji–the shape of it reminds me of the Temple of Heaven in Beijing. 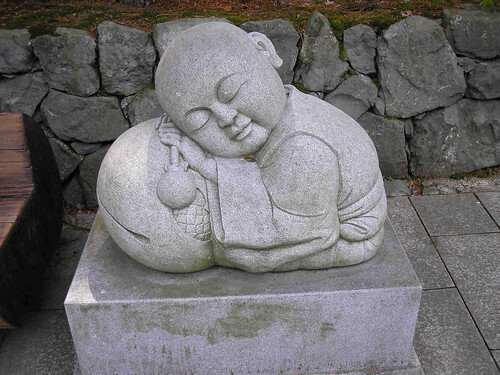 I’m looking to do a temple stay in Korea in the fall once it’s not so hot and am very interested in trying the monk’s food. Wow, that sounds really interesting. I hope you’ll write about your experience in Korea! You did good on this trip. I’ve never stayed at a temple. Wonderful story. Looks fantastic… and I’ll definitely have to add that to my very long list of places still to see in Japan. I loved the fact that you reflect on how trusting you were when you were younger. It’s a nice way to be. Especially in such beautiful environs. Your blog is amazing – I really hope I can plan a trip here? Which business do you teach for? I teach for a very similar one…! Hi there, thanks for stopping by! I’m really glad you’re enjoying my blog! 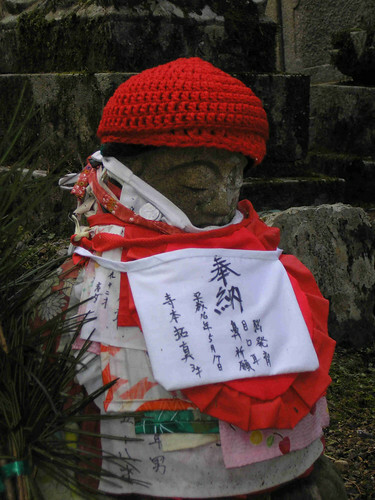 I hope you can visit Mount Koya too – it’s an amazing place!